Today, we went to Palace Market and showed Brittany our straw collection that were found on West Marin beaches. The Palace Market is trying to stop using plastic in the store and switching out with reusable and compostable products. 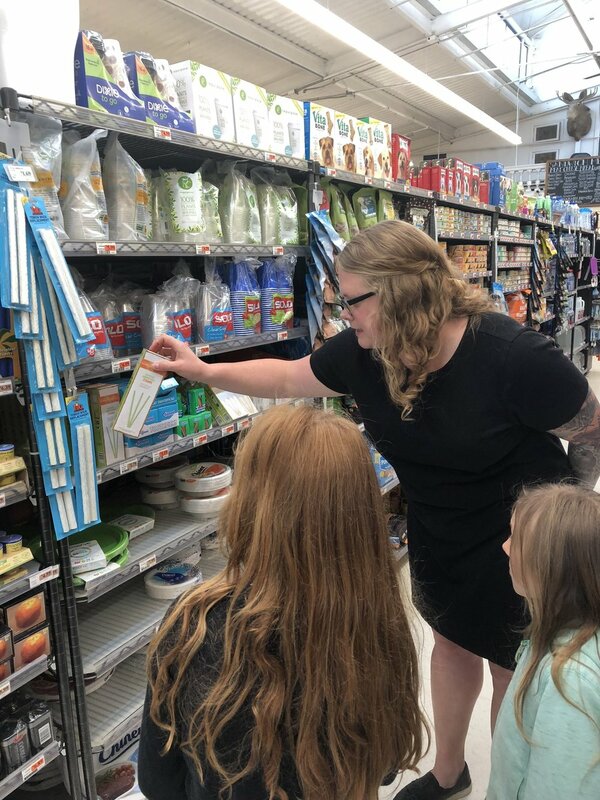 Brittany took us around the store and told us about the products that are being changed out. She showed us compostable, metal, glass, and recycled products people can buy. The Palace Market is planning on getting a water dispenser so people can fill up water bottles instead of buying plastic bottles. Brittany said that they still had plastic cups and plates, but that they are hoping to remove those by next year. She said they are working to replace their plastics with compostables. We are concerned about compostables because they do not decompose without lots of heat and processing. We told Brittany there are other alternatives besides compostables, because our trash collector cannot compost them, instead they go to the landfill, and end up in the ocean. We think it's great the Palace Market is trying to get rid of plastics in their store and using other alternatives. Today, we learned that we need to meet with Recology (West Marin's trash collector) to learn how they can process compostables. P.S. Please take our pledge to no longer use plastic straws. Glass containers for people to buy instead of plastics. Shelf of single-use products where plastics are being phased out over this year.